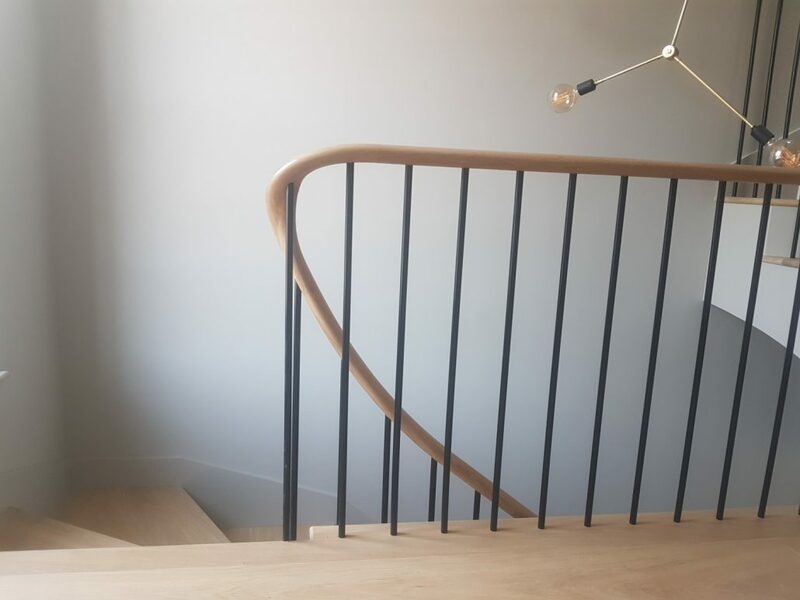 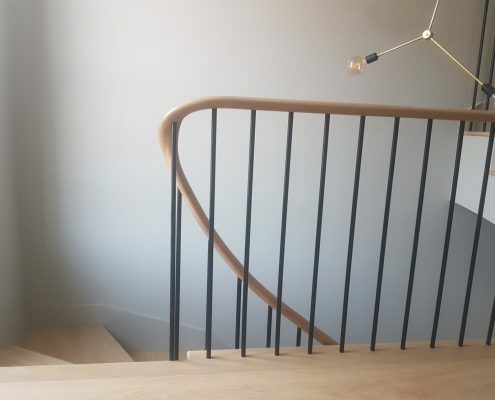 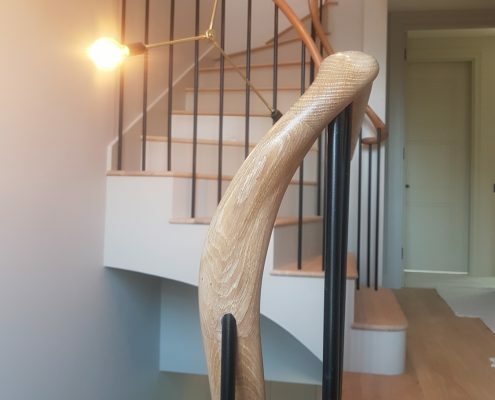 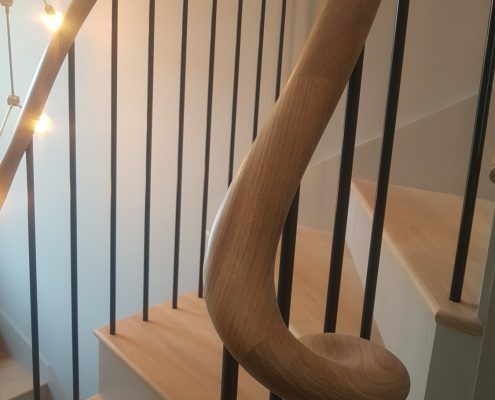 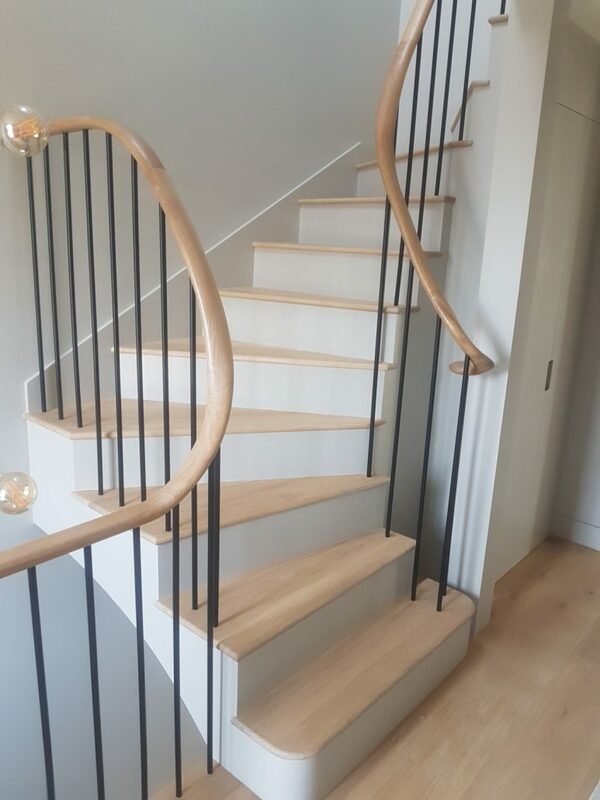 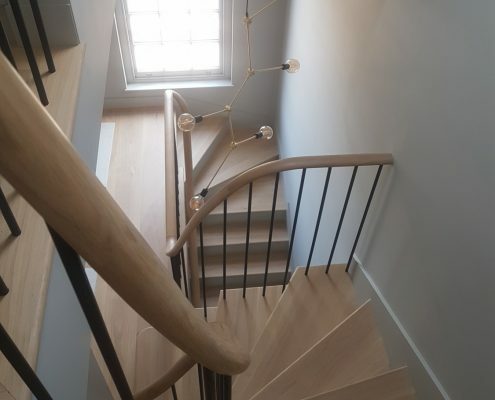 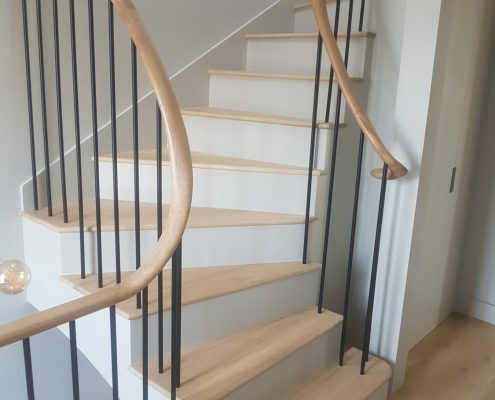 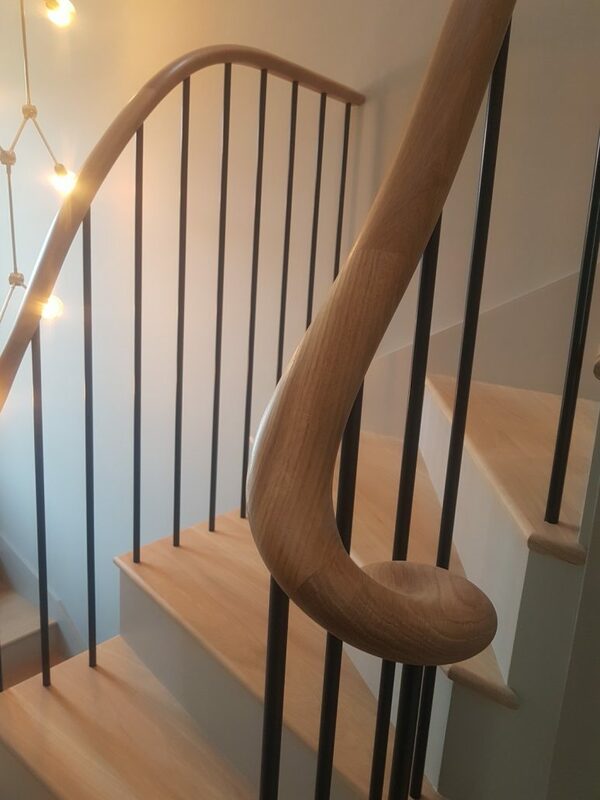 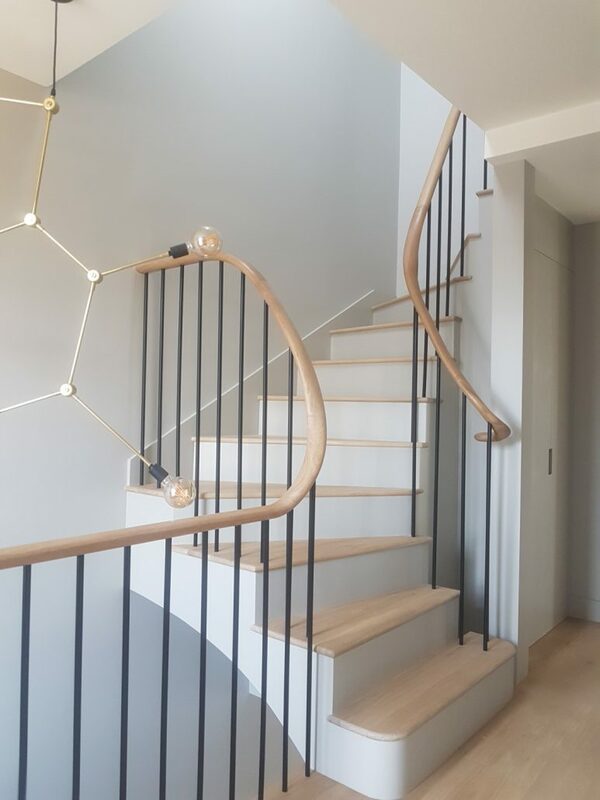 An excellent project with a lot of style – these European oak handrails were designed to look sleek and modern, along with the black spindles for a home in Chelsea. 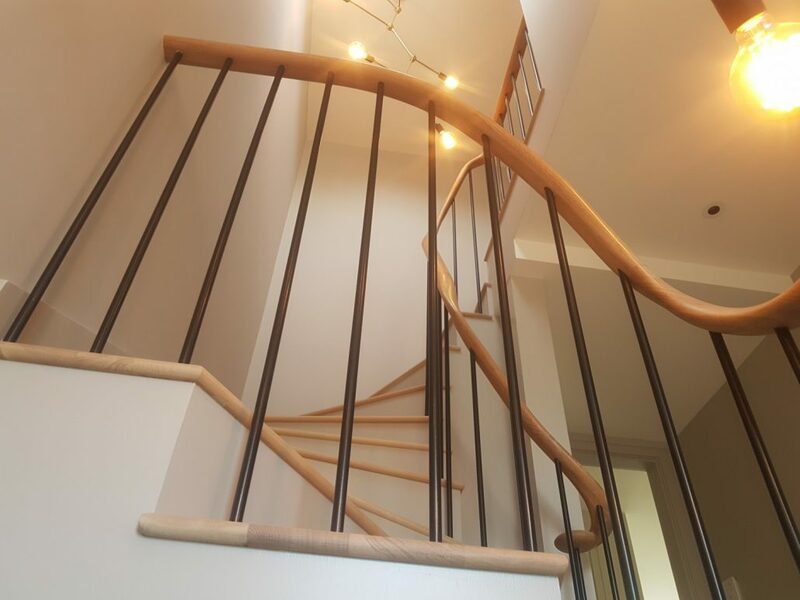 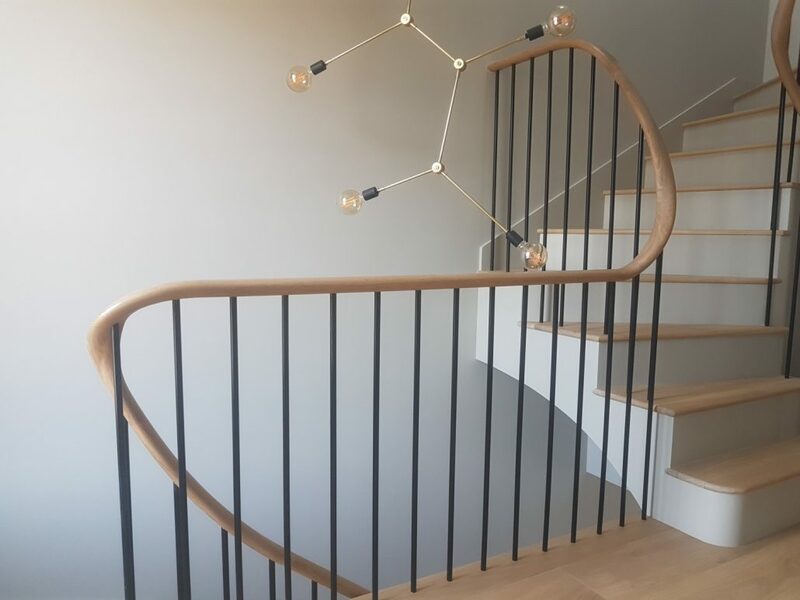 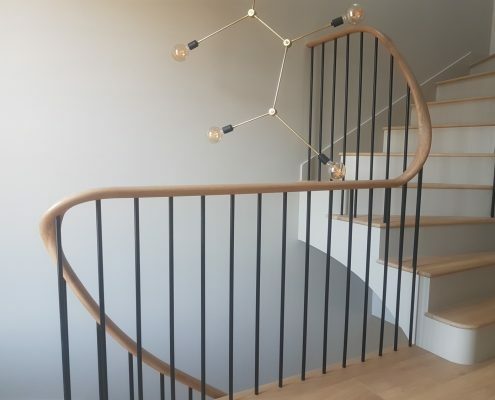 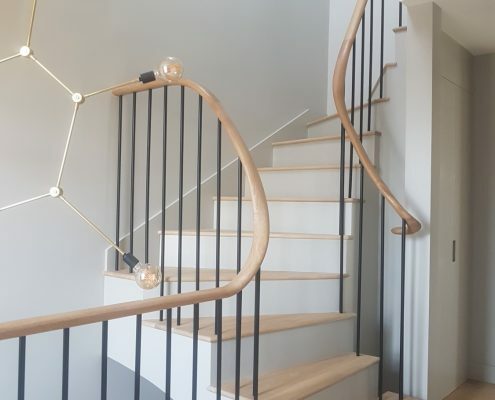 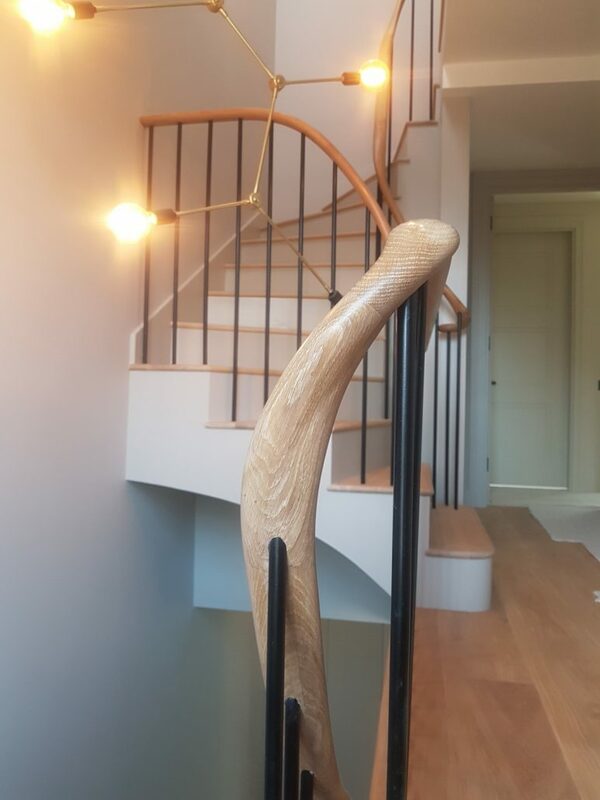 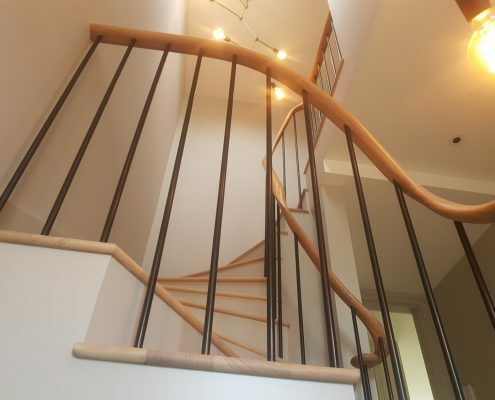 Although the staircase does not have any curved stringers, the client was very particular about the use of no newel posts and we were able to mark out spindle positions in such a way that we could design a fully continuous handrail, with pre-drilled spindle holes, then install the balustrade completely over 3 days. 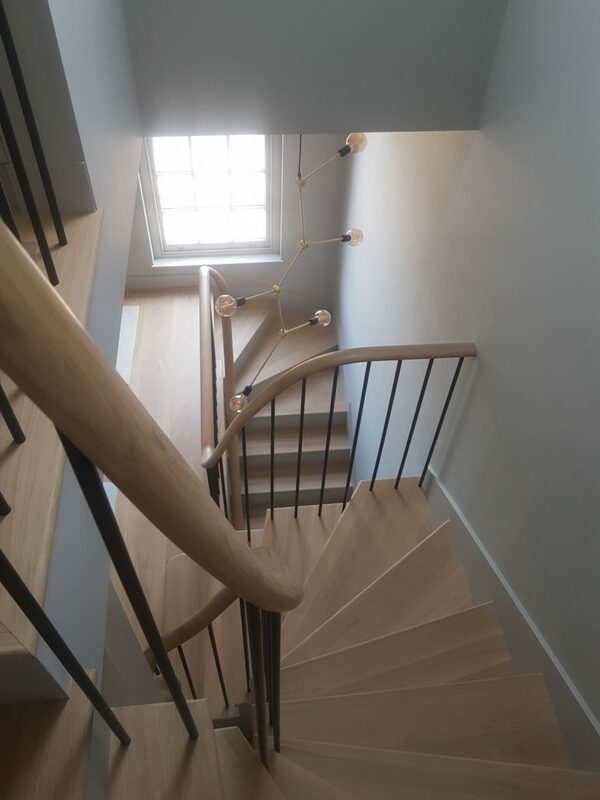 The 16mm diameter spindles were powder coated and perfectly offset the natural oak finish of the stairs.